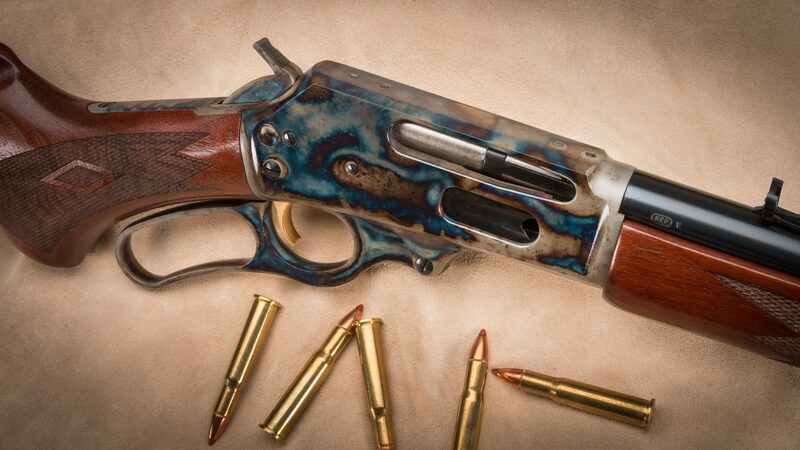 A Guns of the Old West Magazine “23 of the Coolest Cowboy Guns” honoree! IMPORTANT NOTES: Currently on back-order from the factory. Contact us for availability updates and finishing lead time information. 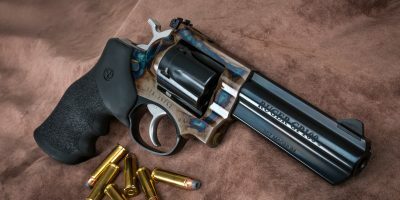 The appearance of color case hardening varies from gun to gun. Photos contained here are of one sample gun, therefore your gun’s case hardened colors, shades, and patterns will vary from what is shown here. This is a Marlin 336C chambered in .30-30 with a 20” barrel. 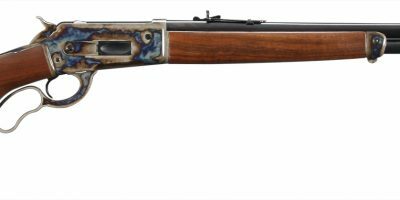 For a limited time, we will be selling the Marlin 336C with refinished wood and receiver. We remove the hammer safety block and install a safety block filler, which helps transform the new 336C to its forbearer’s original spec. The stock and fore end have been refinished by Turnbull Restoration, to match the classic Marlin Red finish. 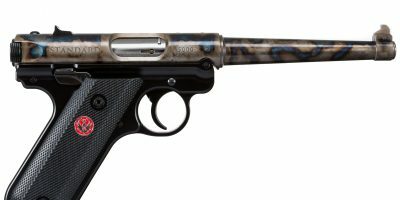 The receiver has also been refinished with the Turnbull signature case color hardened process. These Marlin 336C are known for their accuracy and reliability, now they have that Turnbull look to them. There is a limited supply, so call and order today before they run out.